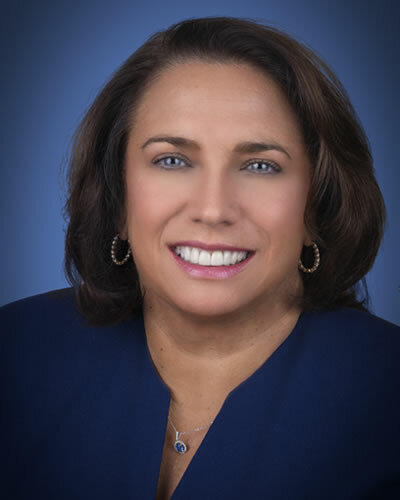 Donna L. Burden is an experienced trial attorney and a founding member of Burden, Hafner & Hansen, LLC. She practices throughout New York State in the areas of trucking and transportation negligence, automobile liability, labor law, employment law, sexual harassment and discrimination, school law, products liability, medical device, municipal law/government liability, professional liability and premises liability. She has approximately 30 years’ experience defending against catastrophic personal injury claims. Ms. Burden is a frequent presenter on and instructor in trial advocacy skills, including on topics such as transportation law (trucking and buses), traumatic brain injury/mild traumatic brain injury, emergency response, handling life-care plans at trial and employment law matters. She speaks on a variety of topics at seminars and conferences held by national defense counsel organizations and groups such as DRI and IADC, and also including groups focused on the transportation industry, such as TIDA, CTLA and the Arkansas Trucking Seminar. Ms. Burden has participated in mock trials, mock mediation and other presentations through the Themis Advocates Group. She is a frequent contributor to various national newsletters and publications on a variety of topics, including transportation, product liability, toxic tort and cyber liability. An accomplished trucking law attorney, Ms. Burden has been selected for membership in the Trucking Industry Defense Association (TIDA), the only international organization devoted to the defense of the trucking industry in personal injury, property damage, and workers’ compensation claims, and is serving a third term on the Board of Directors. Ms. Burden coordinates the Burden, Hafner & Hansen Emergency Response Team, which includes attorneys, field adjusters and accident reconstruction experts. The team is available 24/7 to handle all kinds of catastrophic loss response, including in major trucking, busing and automobile accidents; product failure; falls; and other incidents involving significant injury or loss of life.